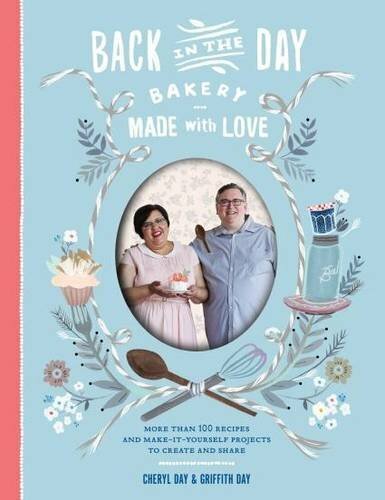 First up is Back in the Day Bakery: Made With Love by Cheryl Day and Griffith Day. 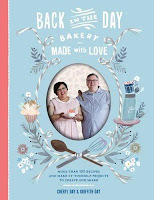 "Cheryl and Griffith Day, authors of the New York Times bestselling Back in the Day Bakery Cookbook, are back with more recipes to make with love. Who needs store-bought when baking things at home is so gratifying? In this follow-up to their smash-hit first book, the Days share ways to lovingly craft not only desserts, but also breakfast pastries, breads, pizza, and condiments. The book features more than 100 new recipes, including some of the bakery’s most requested treats, such as Star Brownies and the Cakette Party Cake, as well as savories like Chive Parmigiano-Reggiano Popovers and Rosemary Focaccia. Cheryl and Griff share their baking techniques and also show readers how to put together whimsical decorations, like a marshmallow chandelier and a best-in-show banner. 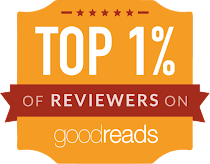 With pure delight woven throughout the pages, Back in the Day Bakery Made with Love is sure to please Cheryl and Griff’s fans nationwide." Next up is Butter Baked Goods by Rosie Daykin. 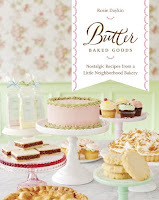 "Butter Baked Goods is a gorgeously illustrated cookbook, packed full of delicious recipes for irresistible baking that you will want to make, time and time again. These are recipes for the classics, rich in the nostalgic flavors of your childhood: from Peanut Butter Sandwich Cookies, Cinny Buns and S'mores; to Classic Chocolate Cake, Lemon Meringue Cupcakes and Good Ol' Apple Pie. Butter began as a tiny bakery in Vancouver, opened and operated by Rosie Daykin, a passionate home baker since she was six years old. The bakery is a pink- and pistachio-colored slice of heaven; its counters are piled high with glass cases and cake stands, filled with sugary treats. But word soon got out (the baking was too good to keep quiet!) and Butter is now famous across North America for being the home of the very best gourmet marshmallow. Butter's marshmallows are now stocked in over 300 (and counting) stores across Canada and the US. The recipe for Rosie's famous marshmallows is just one, of 101, tucked into the pages of this beautiful book. 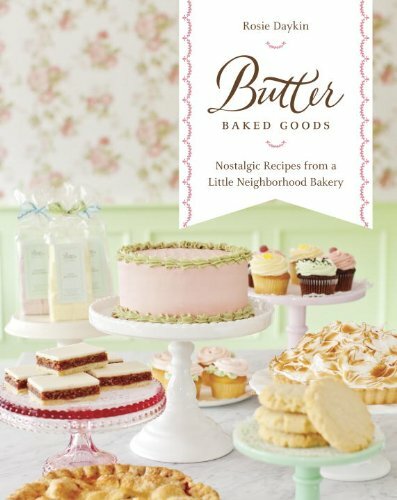 Every recipe in Butter Baked Goods has simple, step-by-step instructions, and is written in an accessible and easy-to-follow style, so that everyone can create Butter's delectable treats--from grandmothers who have been baking all their lives, to teenagers making their very first cupcakes. 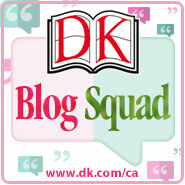 Rosie's baking is not about trickery, flamboyance or hard-to-find ingredients, but about great-tasting, homemade treats to celebrate life's milestones: birthdays, Thanksgiving, Christmas, Easter, baby showers, bridal showers--or just a gloomy, rainy afternoon when you need a little pick-me-up."